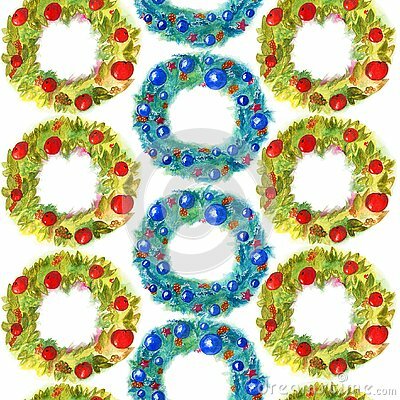 Watercolor seamless pattern hand drawn christmas wreath with decor isolated on white background. New year tree decoration and place for text for design, print, card,invatation, calendar, scrapbooking. Abstract pattern on a black background. Seashells headers in watercolor style on white background. Summer seamless illustration. Tropical pattern.